Our second day of the IWINETC 2013 Blogger-Media Fam Trip to Friuli, Italy, began with a tour of the Rosazzo Abbey (the monastery of roses) in the Colli Orientali region. The abbey is a cultural and religious center, and it’s also surrounded by vineyards and produces wine. As our guide Mara Bon explained, it was Benedictine monks who first brought knowledge of vine cultivation to the abbey. Today it houses one of the oldest wine cellars in Friuli. Since 2009, care of the vineyards has been entrusted to nearby winery Livio Felluga. 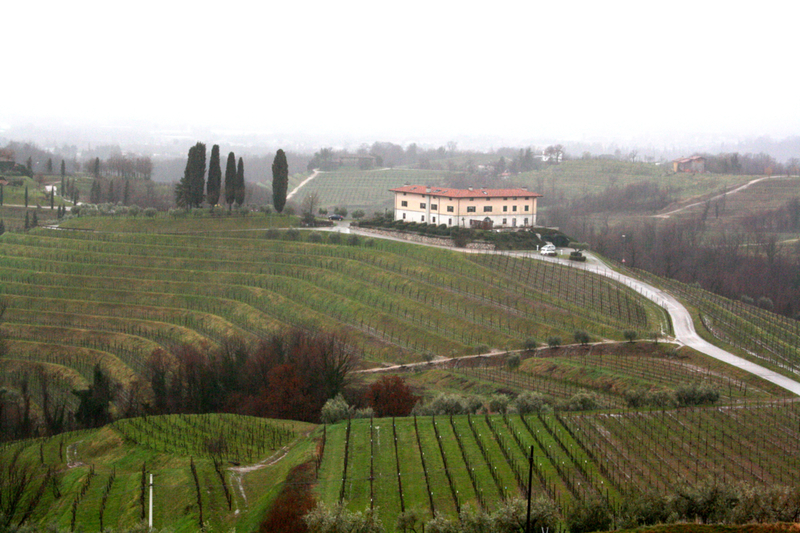 In 2010, wines from the area achieved DOCG status, and the Rosazzo DOCG was born. 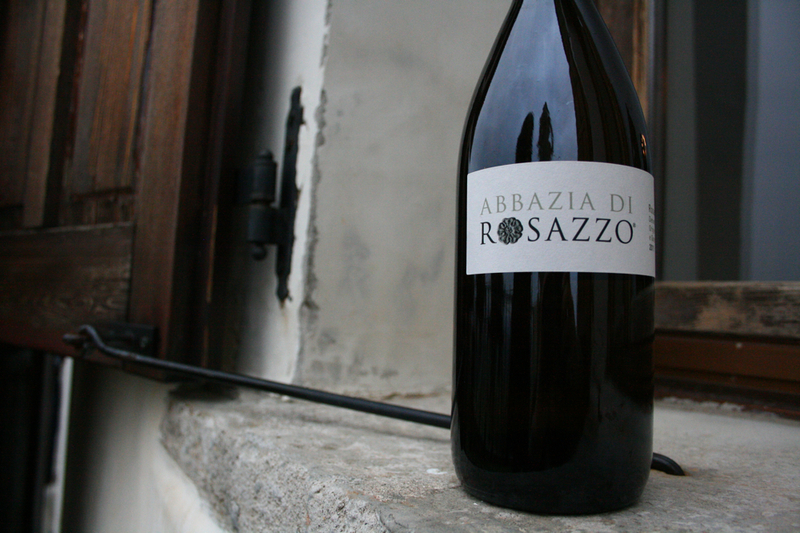 After an introduction from winemaker Filippo Felluga, we tasted the Abbazia Di Rosazzo 2011. A refreshing white wine, it’s made from Friulano, Sauvignon Blanc, Pinot Bianco, Malvasia, and Ribolla Gialla. The blend harmonizes nicely, producing a clean, balanced, and elegant wine. As we sipped, we had a beautiful view of the surrounding vineyards from the balcony of the tasting room. Next we headed to Zorzettig winery, where we went down to the atmospheric cellar and were greeted with a glass of their 2011 Oz Optimum sparkling wine. Back upstairs, we focused on local grape varieties, starting with the 2012 Ribolla Gialla and 2012 Friulano, both expressive white wines with a lush mouthfeel. 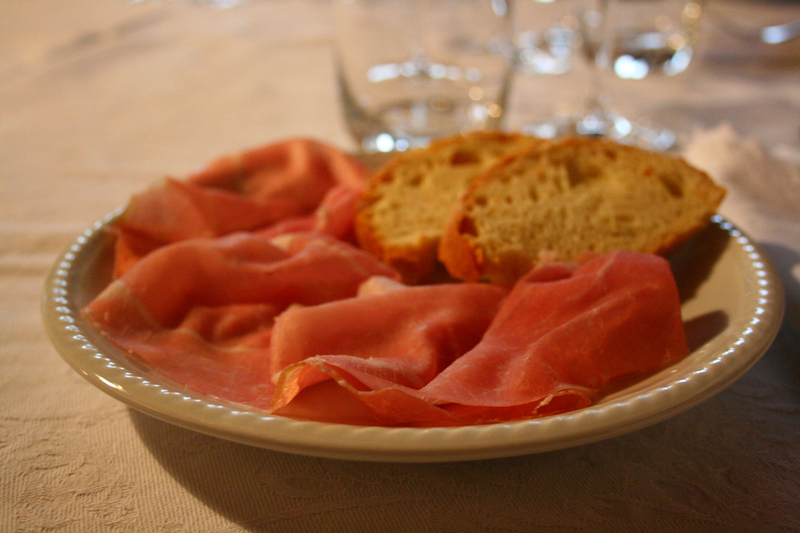 They were nicely paired with a type of local ham, Prosciutto di San Daniele. Next we moved to a red wine, the Refosco 2010, and a cheese plate. The Formadi Frant, a firm cheese blended with pepper, caused a lot of exclamations in the room when paired with honey and the wine. 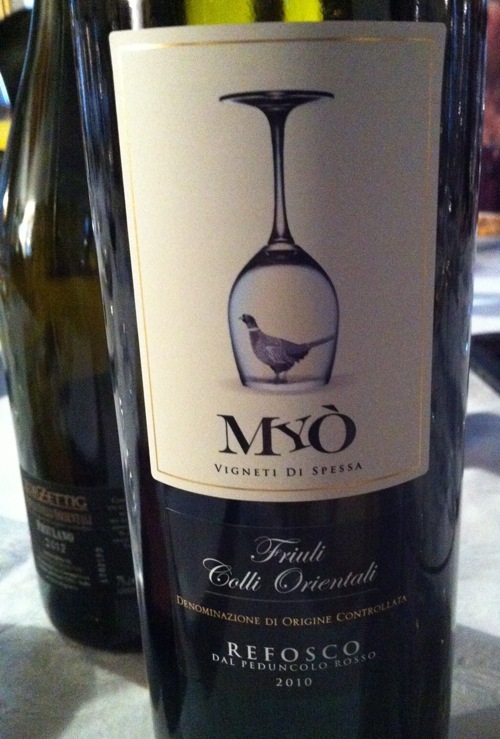 The Refosco was rich and concentrated, with strong notes of cassis. Its tannic structure meant that it could age for much longer, yet it was already lovely. Finally, we tried Picolit, a rich (and delicious) local dessert wine with a nice acidity that makes it well balanced and not too heavy. It was time for lunch next (as if we hadn’t eaten enough), so we got back on the bus for a short trip to the nearby Relais La Collina. We were treated to a succulent lunch, starting with homemade ravioli filled with a blend of spinach, ricotta, herbs, and apple and topped with grated smoked ricotta, an old recipe from Carnia, in the Friulian mountains. If the description alone doesn’t make it sound amazing, let me tell you – it was. That was followed by a frittata with seasonal wild herbs served with polenta. And with all that, of course, more wine! The day was only half over, but we were already getting a pretty good idea of Friuli’s gastronomic delights.